Microsoft’s recent release of a 26-page guide entitled “Business Productivity Online Standard Suite Introduction to Transition” warrants a look into how Google Apps and Office 365, two leading cloud solutions measure up with one another. In the guide, Microsoft details how its “cloud” solution works and what customers will experience during a transition from BPOS, Microsoft’s legacy platform, to the cloud with Office 365. The guide raises some questions as to how convenient this transition is and whether or not the effort involved is worth the end result. The guide begins by stating that Office 365 is not a new version or product for existing customers of Microsoft Online Services, it is simply an evolution of BPOS. The changes lie in the move to the cloud from on-premises servers. The statement that 365 is a mere evolution of BPOS raises the question as to why there is such a great deal of work (as outlined later in the guide) involved in the transition from one to the other. Customers should also wonder what sort of transition will be in store for them when Microsoft releases Exchange 14, as BPOS runs on Microsoft 2007 while 365 operates on the 2010 version. Further explaining the “new architecture” available through Office 365, the guide says that, with Office 365, major service updates should impact customers less than the transition from BPOS to 365 will. Note that Microsoft does not say customers won’t experience any impact during service updates, simply that the impact will be lower. This is in contrast to Google, who promises its customers no impact during updates. The idea that users will still experience an impact during updates is key since Office 365 requires software upgrades and patching still it still runs on the Office 2010 legacy platform and thus uses the desktop to store software and data. This could translate to hours of wait-time during maintenance. Moreover, the reliability of Office 365 is still uncertain, as this is Microsoft’s first cloud product. What is known, however, is that 365 has already experienced multiple outages. Microsoft doesn’t even make its uptime statistics available to the public, and its promised 99.9% uptime doesn’t include planned maintenance and outages. Four hours of downtime in one week recently plagued Microsoft, resulting in only a 97.6% uptime. On the other hand, Google guarantees its users 99.9% uptime (updates included). Moving on to the products customers can use with Office 365, the Microsoft guide says that Office Web Apps, the online version of Microsoft Office, do not offer all the capabilities that the Microsoft Office client does. This point is something to think about given the fact that Microsoft’s key points against Google Apps is that Google Docs don’t offer all of the robust capabilities of Microsoft Office. Although here is Microsoft saying that Office Web Apps don’t offer these capabilities either. The guide’s discussion of the pricing options for Office 365 customers is sure to confuse some people. According to the guide, businesses will have to purchase add-ons in order to run the Office 365 service in its entirety. While the least expensive version of 365 is $6/user/month, this platform is only available for businesses with fewer than 50 users. 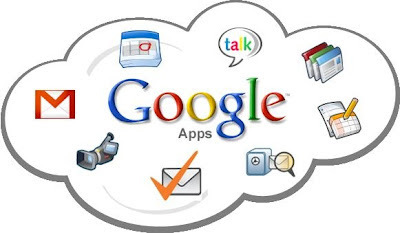 For the businesses that qualify, this plan will total $72/user/year, a significant price hike from the Google Apps for Business plan (available for businesses of any size), which runs at $50/user/year. And while the $50/user/year for Google Apps includes the entire suite, the $72/user/year for Office 365 does not. In fact, this 365 plan doesn’t include such essentials as Office Web Apps, which is necessary for a business that intends to take advantage of the mobile-access cloud capabilities. 365 customers with this subscription should expect to pay additional fees in order to use the suite as intended. Beyond this pricing plan, Microsoft offers three other plans and a number of add-ons. Businesses can mix-and-match the plans and add-ons, but beware, because this can become confusing and difficult to keep track of very quickly. The guide also highlights the fact that Office 365 is not a pure cloud-based solution, like Google Apps, but rather a hybrid one. Office 365 requires on-premises servers, such as data centers and local devices with legacy client-server technologies, to store information. Because of this, administrators should expect to relinquish control over corrupted, stolen, or lost data. Additionally, the presence of this user software necessitates installation, licensing, and regular patching and upgrading. If you make it to the appendix of the guide, you’ll learn that meeting the system requirements for Office 365 may involve difficult tasks that require costly third part desktop management tools or heavy touch of the user desktops. Odd that there are so many desktop requirements for a platform that is allegedly cloud-based. Google Apps, on the other hand, has no desktop requirements. On top of the host of transition requirements, the guide informs customers that they must transition to Office 365 by a designated date. While Google does not force its customers to do anything, this a prime example of Microsoft doing exactly that. To complete its transition guide, Microsoft announces that it will not be able to do transitions during every weekend and work week, and that each business’ ideal transition time may not be suitable for Microsoft. More or less, this means businesses should expect to transition when it works for Microsoft, not when it is convenient for them. From increased downtime and a hybrid cloud solution to complex pricing and a lack of convenience, it is clear that Microsoft still has a lot of improvements to make on its Office 365 program. This is especially so when the platform is compared to Google Apps, which guarantees easy and affordable pricing and 99.9% uptime on a completely cloud-based platform.